The bus driver asked me where I was getting off. I said Marfa. He said, “I’ve only dropped off Germans and Japanese there in the past.” It was 1999. Marfa, Texas didn’t have a bus station. The bus driver said, “The bus station isn’t really a station, it’s a gas station with a Western Union. Is that where you want to go? 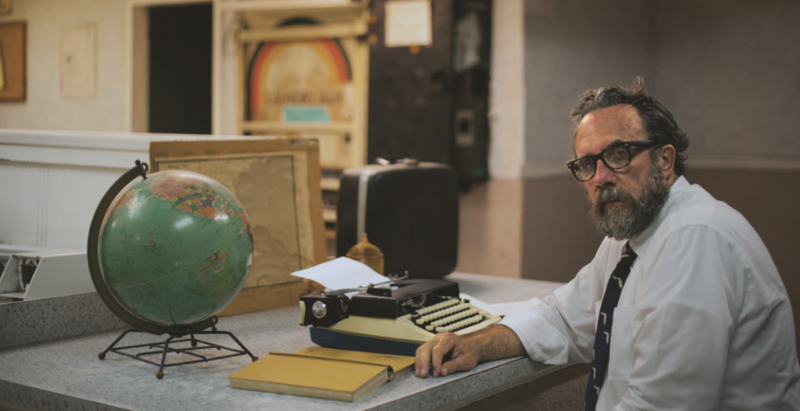 There’s a motel on the main highway; it’s close to everything.” He dropped me off across the street from the motel. I didn’t have reservations. I ended up getting a room. It was around 4AM when I checked in. I had planned on getting up in a few hours and checking out the town, and staying one more night before heading to Mexico. I think I woke up around 9AM and headed over to the Chamber of Commerce, because I really didn’t have any information about where anything was in the town. 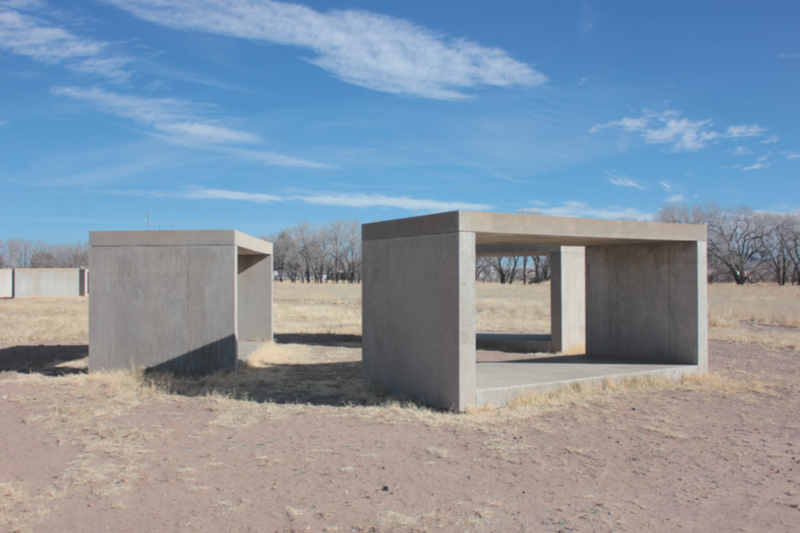 I had read a couple of articles about how Donald Judd had come to the area in the ’60s and bought a bunch of land, and how it had become a sort of quiet, contemporary art mecca. The guy at the Chamber told me about the Chinati Foundation tours, and he showed me where the bookstore was located. It was a really nice bookstore. I ended up meeting Michael Kaufmann, who was an intern at the time for the foundation. Michael went on to be a founder of the record label most well known for Sufjan Stevens albums, Asthmatic Kitty. Michael talked me into staying the whole weekend. It was the first weekend in October. That weekend has become a big thing. At the time, it felt like a small town gathering of barbecues, art shows, music, and lots of socializing. It was rumored that some well-known artists were there. The town also had old airplane hangars that housed great exhibitions of work by Judd and many of his friends, who also happened to be major artists, like Dan Flavin, Carl Andre, John Chamberlain, Roni Horn, Claes Oldenburg and more. Art is seemingly everywhere, and in the surrounding areas. I saw an Oldenburg sculpture in the middle of town. 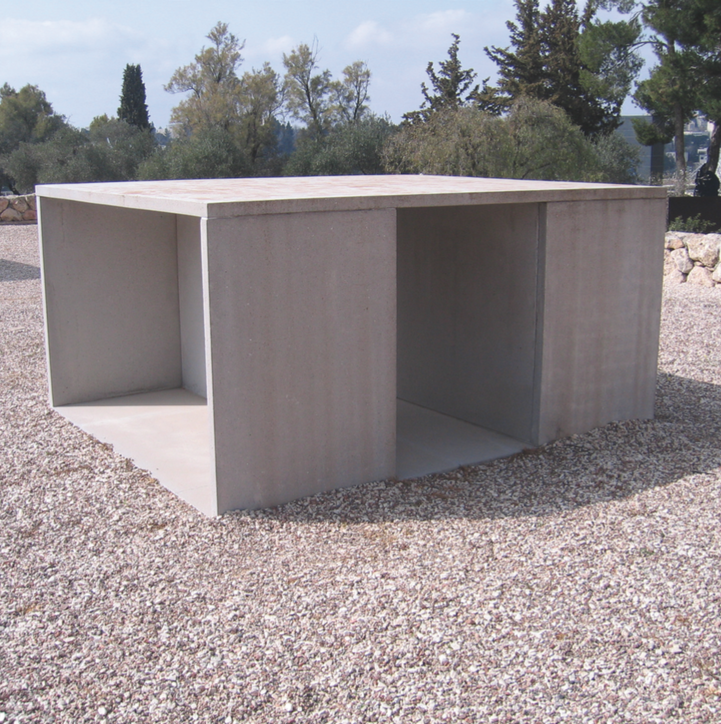 Judd’s untitled, very large, minimalist structures dot the landscape. Marfa has been on 60 Minutes, and in many publications—many that don’t normally write about art. It sits about a mile up, about hour’s drive north of the Mexican border. The population is only about 2000 people. The sunsets and sunrises are hypnotic. The Marfa Lights are mysterious. The Coen brothers and several other major and minor directors have made films here. 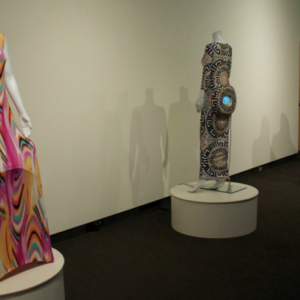 The economy is mostly related to contemporary art. The town is a four-hour drive from the nearest city, but it has become a tourist destination. I started to think a lot about how a hard-to-reach place whose main focus is contemporary art had become a tourist destination. I was really thinking about this after a recent conversation with a few others working in the arts. We were talking about a petition going around which addresses the efforts by our new president to stop funding for arts groups like the National Endowment for the Arts. I kept thinking about how Marfa was thriving, and what a place like New York City would be like without all of the creatives. I was thinking about how many people ended up in New York because they wanted to be artists, and many I’d known had become successful or at least made a living as an artist, though some had come home. I’ve known a couple people who ended up being lawyers, a few in advertising. Anyway, these stories are common. Richard Florida’s research about the creative class, and how the areas that later become gentrified are usually made interesting by artists, is relevant to this. The idea is that where the artists go, the real estate market will soon flourish. It’s interesting that I hear about all of the business-minded people wanting to take away arts funding. I would think they would look at artists as an investment instead of money thrown away. Places like Brooklyn, Asheville, Portland, San Francisco, have so many visitors because of the creative population. That might be represented through architecture, galleries, restaurants, boutiques, coffee houses, etc. The point is, without artists, these places would not be the destinations that they are today. These people are spending money and helping the economy. Hearing the tirades of many of the Republican politicians, you would think that artists are a bunch of freeloaders who are draining our economy. If we would start looking at this in a more honest and holistic way, we would realize that the creative population is really at the root of strong economies. People who understand art and design already know this. I would like my artist friends and fans to really think about how to articulate the message of how the arts not only makes our quality of life better, but also helps the economy. If you ever have a chance to go to Marfa, you can check out what happens when creatives mix with the community. The next time you visit New York City, think about what it would be like if we got rid of the artists or pushed them back. It’s a place that was built and developed by people from many places and backgrounds, and many artists have helped make it into the interesting place that is.